​Change can be very difficult for cats, and they can become stressed quite easily. We have designed our cat room with that in mind. In order to keep the noise level to a minimum, their area is completely separate from our dog kennel. Our 6 private cat suites have separate litter box compartments as well as shelves to encourage movement. If you have more then one cat, two suites can be connected to provide extra space. ​A large window fills the room with plenty of natural sunlight and allows your cat to watch the birds and squirrels play in the trees surrounding our facility. 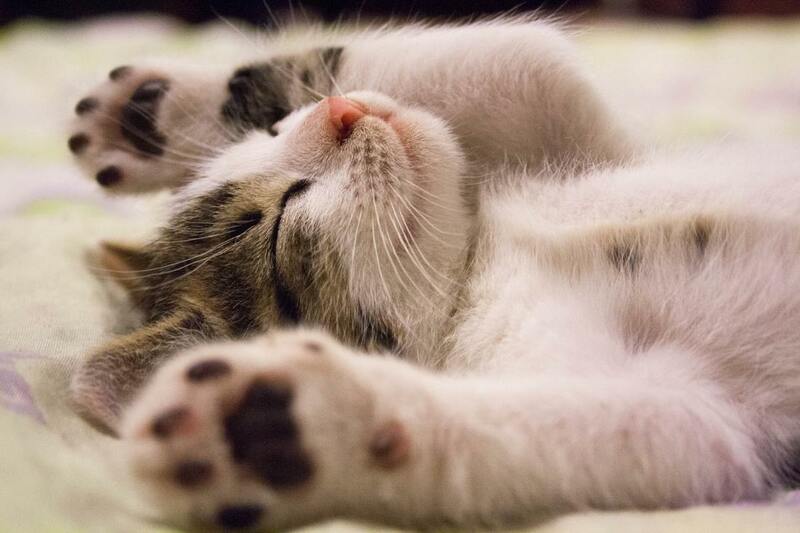 Your cat&apos;s suite will be thoroughly cleaned and sanitized twice daily, their litter replaced and water refreshed. We offer a customizable feeding schedule and, of course, unlimited cuddles are always included!